After watching Eddie Murphy perform for the first time, Warren B. 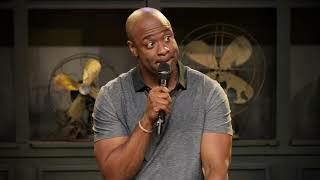 Hall knew at the age of 10 that he wanted to become a standup comedian. Then, after his mother gave him a good beating for using the 'F-word' while practicing, Hall decided it would be wise to take a cleaner approach to comedy than his often foul-mouthed idol. Hall has worked with the USO tour of the Middle East, where he performed at military bases for our troops. However, if you didn't happen to catch those shows, you may recognize him from his television commercial work or from various clubs here in the States, which he also frequents. Hall is a self-proclaimed 98% clean comic who doesn't shy away from adult innuendo. Aside from comedy, Warren B. Hall is also the author of the book, Pieces of Me.